Constructing a new, supposedly autonomous academic discipline is anything but a neutral exercise, one that never occurs in a social or intellectual vacuum, but is invariably the product of a highly specific time, place, and context. Nicolas Guilhot’s stimulating volume of essays uses the prism of a 1954 Rockefeller Foundation conference on the theory of International Relations (IR), a small, select gathering of a dozen prominent academics, journalists, State Department officials, and foundation executives, to consider the emergence in the United States after World War II not simply of the field of International Relations but of the Realist approach to such studies. Eight experts on the Realist tradition discuss how and why this intellectual paradigm came to dominate post-1945 IR studies in North America, and the impact of this development in terms of differentiating and separating IR from other areas of political science or social science, where such studies were originally housed. Supplementing these essays are the original transcripts of the two days of Rockefeller Foundation-sponsored 1954 discussions of IR theory, plus several papers on the subject produced by some of the participants. H-Diplo/ISSF Roundtable Review of Nicolas Guilhot (ed.). The Invention of International Relations Theory; Realism, the Rockefeller Foundation and the 1954 Conference on Theory. New York: Columbia University Press, 2011. ISBN: 978-0-231-15266-2 (cloth, $89.50); 978-0-231-15267-9 (paper, $29.50). This anthology is, at least in part, an exercise in the bureaucratic politics of academe. Why, asks Emily Hauptmann of Western Michigan University, did American scholars across the social sciences place so much emphasis upon theory at this time? Pointing out that different commentators on the transcripts of the 1954 conference vary in their assessment of just how significant the discussions on theory undertaken by the assorted participants actually were, she shrewdly remarks that during this period a great many social scientists, including the “behaviorists” whose methodology and assumptions most IR specialists flatly rejected, felt strongly impelled to construct broad, encompassing theories to define their particular fields. This was true in many cases—by no means restricted to IR—in which devising such theories proved exceptionally frustrating and difficult. This tendency to elevate and value the production of theory, Hauptmann insightfully suggests, indicated the extent to which social scientists of every kind were influenced by and seeking to imitate the model of scientific research dominant in the “hard” sciences. Coming up with a theory, convincing or otherwise, was one indicator that a particular discipline or research area was genuinely important and deserved to be taken seriously. Berghahn focuses particularly upon Parmar’s presentation of the Yale Institute as one of an array of interlinked and often overlapping institutions that helped to create and win support for a hegemonic elite consensus on Cold War international policies after 1945. Most of these were formally non-governmental, among them the major American foundations, leading universities, such private think tanks as the Council on Foreign Relations, the Committee on Economic Development, and the National Planning Association, and temporary pressure groups such as the Committee for the Marshall Plan, the Committee on the Present Danger, and the Committee for a United Europe. By 1954, members of these and other organizations had worked closely with each other and with State Department and other government representatives for well over a decade in a quest to steer U.S. foreign policy in a broadly interventionist and internationalist direction. The 1954 Rockefeller conference, chaired by Dean Rusk, president of the Rockefeller Foundation and a future secretary of state, attended by several leading Realist academics as well as State Department officials and two extremely well-connected journalists, epitomized the unpublicized and extremely confidential gatherings of men (and one woman) who had been involved for years in hammering out World War II and Cold War policies, who knew each other extremely well, shared many fundamental assumptions, and had great faith in each other’s discretion. As several contributors to this volume point out, they did not reach any real consensus on precisely how IR theory could be deployed in ways that might best assist government officials in reaching decisions. Revealingly, Paul Nitze, former head of the State Department’s Policy Planning Staff and the chief drafter of the Cold War strategy blueprint NSC-68 wrote: “To deal with such problems as present themselves to [the Policy Planning Staff] in the full richness of their reality would require methods analogous to the simultaneous solution of an almost infinite series of equations in the higher calculus. Many of the problems are without clear precedent; they cannot be resolved solely on the basis of tradition or of historical experience.” (277) More illuminating, however, is the fly-on-the-wall opportunity to eavesdrop on top policymakers as—slightly haphazardly, despite attempted guidance from Rusk and the position papers several of them had written—they debated the relationship between theory and policymaking, and just how much importance raw power, the national interest, and morality should have when officials decided between policy alternatives. These discussions offer an enlightening window upon the American Cold War mindset at the top. Like Nicolas Guilhot, who contributed the introduction and a stimulating chapter to this anthology, both Berghahn and Hauptmann draw attention to a certain Cold War division of labor among the American foundations, with the newly-established Ford Foundation investing heavily in the behavioral sciences and area studies and supporting developmental approaches to international affairs, while the Rockefeller Foundation proved the major funder of IR, playing a major part in the emergence and promotion of Realist theory. (Hauptmann does, however, note that even the Rockefeller Foundation spent at least as much on the behavioral sciences as it did on IR in the early 1950s.) The developmental approach, pioneered by Walt W. Rostow at the Massachusetts Institute of Technology, assumed that American economic and technical assistance could rapidly set Third World, often recently decolonized, nations onto the path of accelerated economic progress, steering them toward liberal democracy and away from the orbit of radical revolution or communism. Essentially optimistic, it embodied an almost iconically American liberal faith in progress. Berghahn further suggests that in the mid-1950s the Ford Foundation provided the funding for a major Council on Foreign Relations (CFR) study group on Soviet-American Relations, chaired by Ford Foundation trustee and CFR director John J. McCloy, that first bruited the idea of détente and eventual disarmament. International Relations theory, at least its Realist version, is by contrast presented in much darker terms as an essentially pessimistic, conservative approach that prioritized order and stability over liberal values or democracy and relied primarily upon military force, security alliances, maintaining a strategically favorable balance of power, and the pursuit of the national interest, however defined. Exponents of Realism also tended to be German-born refugee intellectuals who had been obliged to flee Nazi Germany in the 1930s, personal experiences that—as many have suggested of Henry Kissinger, who emerged as a leading Realist academic during the 1950s—tended to instill a permanently grim vision of the human potential for evil. How accurate is this dichotomy, which in some ways seems a successor of the earlier purported interwar contrast between self-styled Realists and the adherents of high-minded idealism, who embraced legalistic-moralistic Wilsonian methods for maintaining peace through such institutions as the League of Nations and the World Court? In practice, one can discern a great deal of overlap between the two putatively opposed camps. As revealed in the transcripts of position papers and discussions in this volume, Realist thinkers and government officials, including Wolfers, Nitze, Morgenthau, and Niebuhr, all stressed the need to attain an appropriate balance between the pursuit of American national interests and international morality, together with an awareness that moral fervor could only too often serve as a mere cloak for national aggrandizement. Support for a strong American defense and the maintenance of a favorable balance of power and the strengthening of U.S. alliances was by no means always antipathetic to support for major developmental aid programs. The two could, indeed, go hand in hand, with military security viewed as merely a foundation for economic assistance to developing countries. Efforts toward disarmament and détente could likewise be predicated on a firm defense posture. From the late 1940 until well into the 1960s, the International Policy Committee of the National Planning Council, a body chaired by Frank Altschul, long-time director and vice president of the Council on Foreign Relations, on which Paul Nitze also served for many years, regularly issued statements advocating major increases in American defense spending. Simultaneously, in efforts to promote international growth and prosperity, the Committee routinely strongly supported boosting foreign aid budgets and reducing tariffs. In addition, the NPA put itself behind moves to implement détente and disarmament. Much the same was true of studies undertaken by the Council on Foreign Relations, which likewise adopted what might be considered an almost schizophrenic approach. In the 1960s Walt W. Rostow, one of the staunchest promoters of development theory, would become well-nigh notorious for his hawkish line on American intervention in Vietnam, while many supposed Realists turned against the Vietnam War, viewing U.S. actions there as both strategically unwise and morally unjustified. The final review, by Robert Vitalis of the University of Pennsylvania, draws attention to IR’s pre-World War II antecedents in the United States, with the legal theorist Quincy Wright of the University of Chicago being the interwar period’s most prominent academic in international relations. Vitalis argues that Guilhot and the other contributors to this volume have fallen victim to the “retrospective and selfserving” accounts of the Realists themselves, in discounting just how much was being done in American IR in the pre-World War I and interwar years. Undoubtedly, efforts to promote and develop international arbitration and expand the jurisdiction of international law in the United States date back to at least the late nineteenth century, with such luminaries as Secretary of State Elihu Root, the millionaire philanthropist Andrew Carnegie, and the law professor John Bassett Moore all heavily involved in pushing these enterprises. Vitalis could, however, have taken his argument further. The Realist tradition did not, like Minerva from the head of Zeus, spring full-blown out of World War II, nor was it by any means entirely the intellectual brainchild of German refugee scholars and those Americans who became their disciples. Even before World War I, there existed in the United States an alternative to Wilsonianism, what might be termed an Atlanticist perspective, which would soon develop into a genuine tradition. Before 1914 its adherents, who included inter alia President Theodore Roosevelt, the naval strategist Alfred Thayer Mahan, Elihu Root, and Secretary of State John Hay, favored a de facto American alliance with the British Empire. Maintaining a strategic partnership with the British fleet was, they argued, essential to American national security and the preservation of the Monroe Doctrine, which had always depended upon British naval protection. During World War I supporters of this perspective, generally concentrated among East Coast elite patricians, urged American intervention against Germany and were instrumental in providing the Allied powers with American war supplies and the banking credits needed to finance this. They viewed foreign affairs in terms of military strength and the maintenance of a favorable balance of power, and were generally somewhat antipathetic to President Woodrow Wilson’s rather more ambitious and idealistic plans. After the war, Atlanticists tended to support American membership in an international organization to maintain peace, but envisaged this as fundamentally constituting an Anglo-American alliance, with the British Empire and the United States united to dominate the rest of the world. Many supported American membership in the League of Nations, but believed that this new institution should be based primarily upon Anglo-American cooperation. Far from disparaging British colonialism, most American Atlanticists greatly admired the British Empire, viewing it as a force for international order and stability. The Atlanticist tradition continued strong between the world wars, and was particularly influential in the newly formed Council on Foreign Relations, many of whose leading directors and officials were staunch Anglophiles. The Council also maintained close ties with Chatham House, which like itself grew out of initiatives from the British and American delegations at the 1919 Paris Peace Conference to establish permanent institutions where private citizens and government officials could meet to contemplate and discuss international issues and problems. As World War II approached, Council officials arrayed themselves firmly against Germany, and once war began were deeply involved in efforts to facilitate U.S. intervention in the war. The Yale Institute, created in the mid-1930s, was also a haunt of Atlanticist academics, including Wolfers and Fox, both Anglophiles who wrote books advocating an Anglo-American alliance. It won major financial support not just from Rockefeller Foundation officials but also from several wealthy private individuals—Henry Luce of Time magazine, Frank Altschul, and Russell C. Leffingwell of the leading investment bank J. P. Morgan & Company—who supported American intervention in World War II and believed that Anglo-American cooperation should be the bedrock of the postwar world. Walter Lippmann, later viewed as a Realist, had propounded Atlanticist views during World War I, most notably in the February 1917 New Republic editorial “The Defense of the Atlantic World,” and supported American intervention in the war. In 1944, he published a well-publicized book, U.S. War Aims, advocating postwar cooperation between the British Empire and the United States as essential to maintaining a favorable balance of power on the European continent. During World War II and the early Cold War years, the surviving adherents of the American Atlanticist tradition joined forces with the German refugee academic community and such Protestant intellectuals as Reinhold Niebuhr, to create what would become the Realist tradition, exemplified for many in the works of Morgenthau, Niebuhr, Lippmann, Kissinger, and the maverick American diplomat George Kennan. The Realists also soon turned their attention to combating what they perceived as the new menace of Soviet communism. Most of the old Atlanticists among them initially hoped to do so in close collaboration with Great Britain; as it became clear that British power was declining, they turned increasingly to the NATO security alliance and often became strong supporters of West European integration. Popular American disapproval for British colonialism may have led some American Atlanticists to downplay their predilection for Britain as potentially counter-productive. The prominence of the exotic and often eloquent refugee scholars, perhaps even their foreign glamour, also tended to obscure the older, Atlanticist roots of the American Realist tradition. As scholars continue to tease out the often complicated story of this frequently paradoxical American perspective on International Relations, one hopes that the Atlanticist strand that helped to create it will receive renewed attention. Nicolas Guilhot is senior researcher at the CNRS (Centre National de la Recherche Scientifique) in the French West Indies. He has previous taught at the London School of Economics (Center for the Study of Human Rights, Department of Sociology) and at Columbia University. He holds a Ph.D. in political and social sciences from the European University Institute, an M.Phil. in Political Studies from Sciences Po and a M.A. in Philosophy from the Sorbonne. His work focuses on the history of the social sciences, international relations, democracy and human rights. His publications include The Democracy Makers: Human Rights and the Politics of Global Order (New York: Columbia University Press, 2005). He is currently working on a history of international relations theory entitled Morgenthau’s Flight: International Relations from Decisionism to Rational Choice. Priscilla Roberts received her B.A., M.A., and Ph.D. degrees from King’s College, Cambridge. She is an Associate Professor of History at the University of Hong Kong where she is also Honorary Director of the Centre of American Studies. She has edited the Chinese diaries of David Bruce, first head of the U.S. Liaison Office in Beijing in 1973-1974, and the book Behind the Bamboo Curtain: China, Vietnam, and the World Beyond Asia (Stanford: Stanford University Press, 2006). Her research interests focus upon the development and influence of the U.S. foreign policy elite. She is currently finishing a biography of the banker Frank Altschul, and a study of the influence of Anglo-American think tanks on China policy. Volker Berghahn is the Seth Low Professor of History at Columbia University. He as published widely on modern European History and Transatlantic relations in the 20th century. The books most relevant to his contribution for H-Diplo are: America and the Intellectual Cold Wars in Europe (Princeton: Princeton University Press, 2001) and Industriegesellschaft und Kulturtransfer (Goettingen: Vandenhoeck & Ruprecht, 2010). He is currently working on a book entitled: American Big Business and the British and German Industrial Systems, 1900-1960. Emily Hauptmann is Professor of Political Science at Western Michigan University. Her current work explores relations between conceptions of knowledge and the funding and organization of social scientific research. In addition to the articles cited in this roundtable, she has written several other pieces in this area, including “Defining ‘Theory’ in Postwar Political Science,” in The Politics of Method in the Human Sciences, edited by G. Steinmetz (Chapel Hill: Duke University Press, 2005) and “A Local History of ‘The Political’,” Political Theory 32 (2004): 34-60. Robert Vitalis teaches at the University of Pennsylvania and received his Ph.D. in Political Science from MIT. His publications include When Capitalists Collide: Business Conflict and the End of Empire in Egypt (1995) and America’s Kingdom: Mythmaking on the Saudi Oil Frontier (2006). He is working on a new book, The End of Empire in American Political Science. Michael C. Williams is Faculty Research Professor of International Politics in the Graduate School of Public and International Affairs at the University of Ottawa. His research interests include international political theory and security studies. His publications include, with Rita Abrahamsen, Security Beyond the State: Private Security in International Politics; Culture and Security: Symbolic Power and the Politics of International Security; The Realist Tradition and the Limits of International Relations and, as editor, Realism Reconsidered: The Legacy of Hans J Morgenthau in International Relations. Nicolas Guilhot has produced a volume of essays that is certain to generate further research and also debate not only among International Relations (IR) specialists, but also among social scientists more generally. Furthermore, it can be expected to become a text that will be indispensable for the training of graduate students in IR and in diplomatic history broadly defined. A major reason for my positive assessment of this book is that it looks at the genesis of a field that is by now quite firmly established in institutions of higher education around the world and widely taught even at undergraduate level. Its editor is a social scientist who believes that examining the history of a discipline is vital for understanding its present situation in the contemporary world as well as the tasks that it faces in the future. It is therefore also a courageous attempt to challenge the rampant “presentism” in the social sciences whose practitioners are all too rarely interested in who and what came before them. At the same time, like all anthologies, this one, too, is difficult to review. A roundtable has the advantage that several reviewers ideally approach the volume from a variety of angles. The following contribution tries to offer a specific perspective that is designed to complement rather than question key arguments in Guilhot’s book. With this in mind, I would like to start with Inderjeet Parmar’s article on “American Hegemony, the Rockefeller Foundation and the Rise of Academic International Relations in the United States”, both because it goes back quite far into the history of the discipline and introduces the concept of “hegemony” that indeed seems to have great significance for the self-perception of the United States and its intellectual and academic elites from the early 1940s onwards. Using the rich Rockefeller Archives, he provides a detailed and (to my knowledge) original analysis of the Yale Institute of International Studies (YIIS) and the promotion of its work by the Rockefeller Foundation. The contribution highlights the development of YIIS under Arnold Wolfers and discusses two influential books with telling titles: Nicholas J. Spykman’s American Strategy in World Politics. The United States and the Balance of Power (1942) and William T.R. Fox’s The Superpowers: The United States, Britain, and the Soviet Union – Their Responsibility for Peace, published two years later. Parmar places his analysis and also the impact of these two books against the backdrop of a quest for hegemony that is defined quite strictly in Gramscian terms. Here the author is concerned with the “consent of the governed” that is engineered “by intellectual, political, and cultural elites through numerous channels that involve not only the state – through, for example, political speeches, schools, and political parties – but also through … the major private and public universities, the Council on Foreign Relations, and the great East Coast philanthropic foundations….”(188) However and secondly, Parmar’s notion of hegemony also refers to a more general consensus among those same elites that the United States was bound to emerge from the upheavals of the interwar years and World War II as the hegemonic power of the West. Diplomatic and economic historians have, of course, been writing for a long time – often by invoking Henry Luce’s famous essay in Life Magazine of February 1941 – that the expected defeat of German, Japanese, and Italian imperialist aggression would usher in an “American Century”. The future mission was therefore to spread “the benefits of the American Dream” (186). However, as Parmar also mentions, beneath the surface of this elite consensus lay deep divisions over the axioms by which this strategy would be guided. Would it be a liberal-capitalist “Wilsonian” New Order or one that would be based on “realist” power politics and national interest? So, if we follow Parmar’s initial Gramscian conceptualization of hegemony but apply it more loosely, as it is often deployed by IR scholars when they look at differentials of power and influence around the world, one comes up against the fact that the United States did not completely succeed in spreading the “American Dream” in the early postwar period. Instead its elites encountered the Soviet Union, the other new superpower, and it found itself caught up in the Cold War competition between two very divergent visions of how to organize human society and the global economy. Yet, there appears to be a third level at which the concept of hegemony is helpful for an understanding of the deeper significance of Guilhot’s anthology: it also revolves around an intellectual struggle for hegemony in the American institutions of research and higher learning (as well as in Western Europe’s, although this dimension cannot be examined here). My argument here is predicated on the assertion that the long discussions on the importance of “theory” and a “scientific” approach to socio-economic, political, and cultural problems was merely the public front stage behind which the real stakes of a hegemonic competition are fought out. To put it differently, academic struggles tend to be articulated in sophisticated and often deliberately convoluted discourses that in fact veil underlying efforts to achieve the hegemony of particular ideological positions and research agendas. Nicolas Guilhot’s book is primarily devoted to examining the Weltanschauungen and aims of one particular group that might be called the Rockefeller Network of academics and Foundation officers among whom Hans Morgenthau, Reinhold Niebuhr, Arnold Wolfers, and Kenneth W. Thompson were central figures. Accordingly, one of the most illuminating aspects of this book is how the members of the Network were jockeying for hegemony in the scramble to define and develop IR as a discipline and serious field of study. Wolfers’ eagerness to gain a voice in a whole slew of organizations may be an extreme example. But the rest of the group also tried very persistently to exert its influence in many different spheres. So, however much their academic work was about issues of “theory” and “science”, their activities were no less about influencing American foreign policy-making in Washington and about training a new generation of students and budding IR experts in the precepts of “realism”. This leads to a consideration of the larger perspectives with which Morgenthau et al. approached the world of the 1950s. The most basic one, that provides something like a thread running through their thought and action, is their cultural pessimism. They were convinced that humanity had embarked upon a dangerous path with the Enlightenment and the advent of modernity. Their points of reference were Edmund Burke and the conservative thinkers of the nineteenth century. They were profoundly suspicious of the “masses” in the age of democracy. Hence their belief in the indispensable leadership role of elites, provided they shared their basic outlook. It seems that these basic positions were powerfully reinforced by their experiences as refugees from fascism and, in some cases, from Stalinism. They subscribed to the theory of totalitarianism to explain the rise of terroristic dictatorships in the interwar period that not only uprooted them personally but more generally had revealed to them the “dark side” of modernity. If this meant to them having to wage an uncompromising war against fascism during World War II, after 1945 Stalin was the new enemy against whom “realist” power politics and the assertion of national interest were the only adequate response. However, by extending these perspectives from Parmar to some of the other contributions, and to those by Guilhot and Brian Smith in particular, another opponent emerges who, often somewhat fleetingly, is identified with Wilsonianism at one point, with liberalism at another, and with positivism and pragmatism at a third. There is, in short, another world of intellectuals and academics in postwar America, that were locked in combat against the “realists”. Like the RF Group, they had their own networks and hegemonic ambitions and were involved in the quest for developing IR. And they are worth examining more closely than they are in this anthology. If the members of the RF Group traced their intellectual pedigree to Burke and from there into the twentieth century all the way – as Guilhot demonstrates – to Carl Schmitt and other figures of the European Right, the “Cold War Liberals”, as they are often called, went back to the Enlightenment and to its nineteenth-century “Americanized” versions. They believed in Progress (with a capital P) and adhered to a cultural optimism that stood in stark contrast to the pessimism of the “Cold War Realists”. They advocated the principles of American pragmatism, particularly as reflected in the philosophical positions of John Dewey. While American conservative IR thought came under the influence of European refugees, the “Cold War Liberals” turned, most prominently, to Max Weber and his vision of modern capitalist-industrial and parliamentary-democratic societies. There was merely one twist in Weberian thought that they did not follow. As is well-known, Weber shared the increasing pessimism that had been spreading in Central Europe before 1914 and even more so after the catastrophe of World War I. He feared the rise of modern bureaucracies and of the Fachmensch (expert), at the end of which industrial-urban societies would be living in an “iron cage of serfdom.” However keenly American social scientists studied Weber either as young scholars in Germany or later in translations of his writings, undertaken by refugees from Nazism such as Reinhard Bendix, this younger generation, occasional self-doubts notwithstanding, retained their cultural optimism and carried the “bright side” of modernity into the post-1945 period in the shape of modernization theory. Put in a nutshell, this theory was based on the assumption that victory in World War II had ended the age of ideologies of the interwar period. The United States had now entered a period of economic “mass” prosperity and stable political institutions based on a working civil society. To be sure, this system still needed constant gradual improvement through reformism and a tripartist “Keynesian” management of both the economy and of politics. But basically all former conflicts of the interwar years were assumed to have been resolved. All that was required was a judicious manipulation of the system by far-sighted elites. There is no space here to look at how this theory and its practice in domestic politics ran into disastrous trouble in the 1960s and 1970s. Rather I would like to focus on the international dimensions of “Cold War Liberalism” in the 1950s. Like the RF Group, the intellectuals and academics wedded to this particular network saw a mission for the United States that was directed at the Soviet Bloc as its main competitor. But the task was not so much to project American hard power abroad to counter Soviet totalitarianism. Apart from training a generation of students and experts in a pragmatically conceived discipline, the idea was rather not to escalate the East-West conflict with the intention of rolling back the Soviet advances, especially in Eastern Europe. The question was rather how, in light of the development of the hydrogen bomb and of “mutually assured destruction”, the Cold War could be de-escalated. In other words, the activities of the RF Network cannot be understood without the concurrent efforts of the “Cold War Liberals” who – and this is the final point – clustered around another big funding organization, i.e., the Ford Foundation. It is possible that the two foundations reached a formal agreement among themselves to support divergent groups as a way of fostering a healthy competition between different social scientists and their home institutions. However, it looks more likely that their decisions to spend quite a lot of money on the promotion of IR were in fact related to their respective histories and to the personnel that led them. As the older and more time-honored organization, Rockefeller had been involved and ultimately compromised by its support of social and natural sciences that had increasingly become contaminated by racism. In 1945, the Foundation rightly felt deeply embarrassed that it had continued to fund eugenic and “population control” projects well into the 1930s, even in Nazi Germany. After 1945, Raymond Fosdick confessed to his organization’s mistakes and misjudgment and this seems to have facilitated the shift against behaviorism and towards the Morgenthau group. It is consequently a little less surprising that the Ford Foundation, by the early 1950s the biggest philanthropic association in the world and the new association on the block, turned to a different set of academics and intellectuals whose scholarly and ideological positions its leaders found more in tune with their own view of the world. The two key figures at the Ford Foundation in the early 1950s were Paul Hoffman, for a while its president, and John McCloy, one of its most highly respected trustees. They were not academic liberals in the strict sense and in their heart of hearts in fact harbored Republican sympathies. But they had just returned from Europe where, Hoffman as Marshall Plan Administrator and McCloy as U.S. High Commissioner for Germany, had witnessed at first hand that the Cold War might easily explode into a hot war between two nuclear powers. It is against this background that they supported three programs that had a quite different orientation from those of the RF Network. To begin with, they, too, launched a stock-taking exercise to assess the prospects and needs of building a program of teaching and research at major American universities. To this end, McCloy and some of his assistants traveled to a variety of American campuses to survey a field that was to become IR. They talked to many prominent experts, including some who were involved with Rockefeller. They also tested the waters in Western Europe. The second program was entitled, significantly, “The Conditions of Peace” project. It was supposed to explore the possibilities of a dialogue with the Soviets. There is a fascinating 16-page memorandum that tries to grapple with this topic, written by Richard Bissell who had been on Hoffman’s staff in Europe and later became a prominent figure at the CIA. It advocated cautious and quiet disarmament discussions. Bissell admitted that the domestic climate was not favorable to such initiatives and yet, he felt, an attempt had to be made not only to prepare the American public for a less hard-line confrontation with the Soviet bloc, but also to see if a rapprochement could be achieved with the Soviets that, while to it would not create peace, would at least not embroil the two superpowers in a hot war. It should be clear by now that, even if this project was a far cry from Wilsonianism, it was not Hans-Morgenthauian either. In fact, it might be argued that the ideas of the Ford Group represented the beginning of détente based on calculations initiated not by Washington but by the “private sector”. One of the products of these activities was Henry L. Roberts’ Russia and America, published in 1956. Finally, it should not be overlooked that the Ford Foundation began to fund what had meanwhile emerged as the peak association of “Cold War Liberalism”, the Congress for Cultural Freedom, on which we now have a considerable amount of published research. The implications of the above analysis have – I hope – become clear: Guilhot has put together an important anthology on the “invention of International Relations theory” and the rise of IR from the perspective of the “realist school” in its original guise, with a number of contributions in his volume then also examining the discipline’s subsequent development. But the RF Network cannot be understood without studying the sociology and programs of the Ford Foundation Network that arose in competition to it. The presence of Don K. Price, an Associate Director of the Ford Foundation, at the 1954 meeting (whose proceedings are reprinted in Guilhot’s volume) does not undermine this conclusion. On closer inspection, the two camps were not as far apart as their rhetoric suggested. Above all, all of them were gentlemen who as academics and foundation officers would still talk to each other and read each other’s book and articles. However serious their rival notions about the substance of a new field, they agreed that it urgently needed to be researched and taught, now that the United States had become a world power. My contribution to the roundtable discussion of this volume places the Rockefeller Foundation’s commitment to the development of international relations theory into several broader contexts I have analyzed in recent work: first, the overall spending of Rockefeller, other philanthropic foundations and the federal government on the social sciences during the early Cold War; and second, the lively interest in the development of theory across the social sciences during the 1950s. After suggesting where the 1954 conference might fit in each of these bigger pictures, I raise some questions about its significance for the development of IR as a discipline and for the status of theory in the social sciences. Most of the conferees unequivocally rejected behavioralist and other rationalist approaches to the study of politics; by contrast, most major funders of social science endorsed them. Put simply, the amounts spent on the development of an anti-behavioral or anti-scientistic IR theory were tiny compared to the amounts devoted to supporting the approaches most of the 1954 conferees opposed. Of the major foundations, Rockefeller was the most receptive to non-behavioral approaches; but even its Division of Social Sciences still committed roughly 35% of its 1950s budgets to supporting behavioral science, a commitment at least as great as its spending on international relations. The less diversified programs of the Carnegie Corporation and Ford Foundation were both weighted heavily towards supporting the behavioral sciences; Ford’s Behavioral Science Program alone spent $24 million from 1951 through 1957. By far the biggest supporter of social scientific research was the federal government – National Science Foundation reports from the 1950s put federal spending on the social sciences between 20 and 35 million dollars per annum; again, most of these funds went to researchers working on defense-related contracts using social psychological or mathematical models. Surely some of the IR theory conferees must have discerned these patterns and concluded that many of the vast resources of the national security state and the major foundations were not in their corner. I cite these figures to raise some questions about the significance and resonance of what was, ultimately, a small program launched at a time when most private and public resources supported what its adherents opposed. Let me be clear that I am not suggesting that the relatively small sums Rockefeller devoted to IR theory had no effect just because they were relatively small. Even small sums can help build some critical mass for a new orientation to emerge, particularly when they are directed towards giving potentially like-minded scholars the opportunity to understand and articulate their like-mindedness more deeply. For example, as I have argued elsewhere, the modestly funded Rockefeller program in Legal and Political Philosophy (1953-1962) succeeded in providing a venue for a range of scholars engaged in political theory to meet and discuss what they thought “political theory” meant. As with the IR conference on which this volume concentrates, these discussions of the meaning of political theory were rife with disagreement. But disagreements need not always exert a centrifugal force; sometimes, as Guilhot and Wæver show, they pull the contesting parties together into a set of debates that form the heart of a new discipline. A more difficult question concerns what kept realist IR theory going, given that both the newly behavioral field of comparative politics as well as the emerging field of game theory received far greater sums from private as well as government sources. Why wasn’t realism simply overwhelmed by or assimilated into these other approaches? Though Jack Snyder’s contribution in particular makes clear just how alive and well realism is by identifying the many varieties of it that have grown up since the 1950s, it does not address what enabled realism to flourish. For the reasons I discussed above, I think that Rockefeller Foundation support was too limited to have been decisive here. This prompts me to ask: beyond the 1954 conference, which institutions in the academy and the state were most crucial to supporting realism, enabling it to maintain a distinct disciplinary identity? Perhaps this question reaches beyond what this volume is designed to address, but it seems to me an important element of the “many histories” Guilhot says the discipline of IR has. I turn now to the other bigger picture into which I think the development of IR theory ought to be placed: the widespread interest in the development of theory not only in IR, but in a variety of fields and approaches across the social sciences, including behavioralism (on which I have focused in my most recent work). Once one sees the 1954 conference as one of many instances of a broader preoccupation with theory, I believe, the specific question of whether the conferees arrived at distinctive conception of theory opens up into the bigger issue of why developing theory seemed so important to so many different groups of scholars in the 1950s. Before I turn to that bigger issue, however, let me address what I see several contributors saying about whether coming up with a theory of IR was really central to the 1954 conference. Guilhot makes the strongest case for this point, insisting that though the conferees could not agree on what kind of theory they ought to be striving for, emphasizing the importance of theory still worked “to secure a space for [an] alternative vision of politics and scholarship” (129). While no consensus on what IR theory ought to be emerged, Guilhot thinks many conferees did agree about “the ‘limits’ of theory” and that these ought to be “a clear reminder…of the cognitive pretensions of the social sciences” (151). But several other contributors do not accept this reading of the conference. For instance, Wæver thinks Guilhot “overemphasizes” or “overrationalizes” the conferees’ “use of ‘theory’ as a way to stake out their own territory”; on Wæver’s reading of the conference, the participants did not articulate a commitment to a distinctive conception of theory consistently enough for it to define their sense of themselves as a scholarly community (120). And Parmar reads the conference as an example of the “confluence of intellect and power,” part of the Rockefeller Foundation’s broader effort to build a postwar policy elite (183-184); he therefore stresses how the conference helped decide who would belong to the postwar discipline of IR rather than which approaches would define it. Apart from how one evaluates the coherence or importance of the conceptions of theory that were discussed there, I find it equally important to ask why so many of the participants thought they ought to address this issue in the first place. Though contributors to this volume disagree about how coherent or definitive the conferees’ discussions of theory were, it seems beyond dispute that the theory discussion was a discussion both organizers and participants felt they needed to have. That feeling was not unique to this group; across the postwar social sciences, many disparate groups committed themselves to the development of theory. For instance, many allied with the emerging behavioral sciences also enjoined each other to make a theoretical statement about the directions in which they were trying to move. As was the case for the 1950s realists, many early behavioralists found articulating what they were doing theoretically to be extraordinarily difficult and deemed some the earliest such attempts disappointing; still they, no less than the 1950s realists, were convinced they needed to develop a defining theory for their approach. Perhaps the “What were they doing?” question Wæver asks of the conferees in general ought to be applied more specifically to this issue. What were they doing, when they tried so doggedly to talk about theory? Though I cannot offer any definitive answers to these questions, I would like to suggest several possible ones. For one, the view that theory was essential to any fully realized rational intellectual activity stemmed from the widespread deference to the natural sciences across the social sciences. As Snyder notes (62), even as great a critic of scientism as Hans Morgenthau spoke in these terms, in part to ensure he was “heard.” To take up the relation between theory and policy in a slightly different way than Robert Jervis does in his contribution, I believe this desire to be heard by other academics but especially by policy makers fueled the intense interest in the development of theory among a wide range of social scientists in the 1950s. During the immediate postwar period, many academics in the social sciences were struggling to claim some epistemic authority for themselves that was both distinct from that of policy makers but also still perceived as necessary by them. It seems to me the quest to develop a theory (whether of international relations or political behavior) was at the heart of the struggle to show that not all useful knowledge comes in the form of particular data or practical experience, but also includes their synthesis and systematic evaluation. In sum, I believe many academic social scientists asserted the importance of theory not only in order to claim some disciplinary space for what they wished to do, but also to make a case for the value of scholarly knowledge to a new global power. A discipline should have a “paradigm” (in political science, hierarchies with various and contending authorities); concepts; methods; and an empirical domain or phenomena or a “field.” These overlap the social science disciplines. A discipline becomes a profession with journals, associations, a hierarchy of values (good research, a “pecking” order etc. ), and institutional homes. IR is a profession with a field, a very important one in terms of life and death, prosperity and poverty, especially since the organization of modern states about 300 years ago with strong hierarchies and capacities to mobilize resources and wed them to technologies of killing. One could well ask, what is political science? It seems doubtful whether it can be distinguished from other disciplines in the social science field either by its methods or by its objectives. It perhaps has a unity because of a somewhat distinctive bibliography, a history of association and organization, and a group who call themselves political scientists. At the dawn of the Cold War, the American High Commission enlisted leading members of the American Political Science Association (APSA) in a mission to bring political science to Germany. For example, the military government founded and funded a new German Political Science Organization in 1949 and then fended off the protests of Israeli political scientists against according it membership status in another new U.S.-backed creation, the International Political Science Association (IPSA) in 1951. The irony was not lost on the University of Chicago’s Quincy Wright, the interwar era’s most influential professor of international relations, president of APSA in 1948-1949—the first IR specialist to head the organization in over twenty-five years—and the first president of IPSA. His own teachers would have claimed that the discipline had come from Germany, where all the leading U.S. political scientists of the 1890s and early 1900s at the time of the founding of APSA had trained. Wright acknowledged as much in an address to German colleagues at Waldleiningen in 1949 where he also admitted that critics of the APSA missionaries had a point. Quincy Wright appears in the story around which my friend Nicholas Guilhot has fashioned Invention of International Relations Theory. He first told it in the must-read 2008 essay, “The Realist Gambit: Postwar American Political Science and the Birth of IR Theory,” which he includes in Invention. Wright represents one side in a debate on the prospects for the scientific study not of politics in this version but of international relations, with his colleague at Chicago, Hans Morgenthau, a German émigré whose position roughly corresponded to that of the law professors of Erlangen and elsewhere, on the opposing side. Only standing behind Morgenthau was a familiar, Kenneth W. Thompson, an ex-student-turned-functionary of the Rockefeller Foundation. Hence probably tens of thousands of dollars—Guilhot doesn’t provide details—would flow for a short while in support of an ultimately failed effort at developing an anti-behavioralist theory of international relations. The book includes the background papers for and transcript of a conference held in 1954 under Rockefeller Foundation auspices where the stillborn plan was hatched. The chief contribution of the book remains the close reading of the Rockefeller Foundation’s records and its account of the events leading up to the conference. Guilhot wisely solicited an additional, extremely valuable contextualizing essay from Carleton University’s Brian Schmidt, whose pioneering revisionist account of the early history of the ideas that animated the field is now the one all of us working on the subject have to wrestle with. And Schmidt has now turned from an exclusive focus on ideas and the reading of scholars’ texts to track institutional developments through work in private papers and foundation records, similar to Guilhot in Invention and to the work I have been publishing for the past decade. Guilhot, though, makes an expansive but also somewhat confusing set of claims about the conference “laying the foundation for the discipline we know as “IR”” and of 1954 as a “founding moment,”(1-2) although toward the end of the introduction he speaks instead of “the gradual expansion of international studies into a quasi-discipline backed by a theory of international relations” [emphasis mine] (21). What then are we to make of the prior forty or fifty years of conferences, journals, courses, textbooks, seminars, summer institutes, research programs, and foundation support dedicated to theorizing about, as Quincy Wright put it in a radio address in 1926, “the great forces affecting international relations,” namely “imperialism and nationalism.” Guilhot calls it a “protodisciplinary conversation”(137) taking place in a less exalted space, a “field,” with institutions at best “only loosely related to one another.”(8). Unfortunately, his version depends on the retrospective and self serving accounts of the scholars he writes about, rather than his own archival research into the pre-World War I and interwar eras, and on an anachronistic view of the organized political science profession in those same earlier decades. Having gotten caught up in the trap identified by Quincy Wright in 1947 and Henry Tuene in 2009, Guilhot missed what is most important about the events he chronicles. As in Germany, the professors in America were busy rewriting a past in which they had held up the pseudo science of race as the chief means to solve the problem confronting the U.S. in the decades before World War II, namely, the more effective administration of empire. The “new” realists (to distinguish them from those who actually brought these ideas into circulation in the U.S. in the 1920s and early 1930s) would instead rehabilitate the pseudo science of geopolitics. As the Manchester sociologist Inderjeet Parmar details in his own contribution to Invention, the bid for American hegemony was imposing new terms on the profession. Over the past decade or so, the disciplinary history of International Relations (IR) has been transformed from a generally conventional and, it must be admitted, often rather fusty field of enquiry, into one of the most vibrant areas of contemporary international theory. This edited collection not only continues this trend: it expands it in new, extensive, insightful, and fertile directions. Taking the transcript of a 1954 Rockefeller Foundation-sponsored conference on IR as its focal point, the book examines the institutional, political, and intellectual attempt to found IR as a distinct discipline with its own philosophic foundations, methodological bases, great texts, and historical tradition. As Nicolas Guilhot stakes out the terrain in his superb introduction, if the academic (and policy-relevant) discipline of IR was deemed essential in providing guidance in the post-war era, then it was equally indispensable that it be created by providing a disciplinary space – both theoretical and institutional – separate from related fields such as political science, law, or area studies. In Guilhot’s words, the significance of the 1954 conference was that it was “the first that ever stemmed from an explicit decision to carve out a disciplinary space for IR by grounding it in an underlying theory”(9). The invention of IR theory was, in this sense, part of an intellectual and institutional strategy behind the creation of IR itself. The story of this book is this process of invention, and its range is correspondingly broad: from explorations of the instigating role of the Rockefeller Foundation and its key operatives (especially Dean Rusk and Kenneth Thompson) in fostering and constructing the intellectual and institutional strategies behind this effort in the context of American social science and U.S. Cold War policy; to assessments of the wider ideas and specific discussions of a select (and selected) group of luminaries from the academic and policy worlds including Hans Morgenthau, Reinhold Niebuhr, Paul Nitze, and Walter Lippmann on what precisely the study of international relations should look like; to evaluations of what this meeting and the wider intellectual, institutional, and political processes with which it was entwined can tell us about the founding and development of IR as a discipline, and – more widely – about the political sociology of ideas, and the connections between academic institutions, political programs, and power – then and now. The essays collected here comprise a trove of insights ranging across these topics and well beyond. As nearly all the authors point out, it is quickly evident from the transcript reprinted in the volume that there is no smoking gun to be found in the institutional archive. No clearly defined cabal with a unified agenda and a clear plan for intellectual hegemony is revealed by the transcript of the meeting. Instead of finding its roots in some identifiable ‘tradition’ of thought, or enduring set of dilemmas, the disciplinary history of IR, like disciplinary histories in general, may, to quote the editor once more, “be better explained by a range of external factors – institutional support, availability of funding, critical developments within adjacent fields, alliances with outside stakeholders such as policymakers or bureaucrats that are too often absent from conventional intellectual histories” (14). Drawing explicitly on Pierre Bourdieu’s sociology, he argues that “there is no such thing as IR theory, only an institutional decision to generate an autonomous disciplinary subspace inhabited by a specific group of scholars” (12). These are bold claims, and they are sure to be as controversial as they are provocative. What cannot in my eyes be denied is that this way of looking at IR – and academic life in general – provides a vitally important contribution to thinking critically, realistically, and reflexively about the field and its connections to the wider institutional and political dynamics in which it is located. Yet it is important to note that institutional factors are by no means the only factors at work in this account. While consensus on what IR should be may have been elusive, most (and perhaps all) of these ‘realist’ luminaries did seem to agree on what it should not be. Here, the volume provides a reworking of a well-worn but usually poorly analyzed theme in conventional accounts of the discipline’s history: namely, that it was liberalism – and specifically the dominance of a particular form of it in the United States – that made possible (and in the eyes of those involved, necessary) the invention of IR in the U.S. While in Germany, realism developed within legal and political theory as a direct critique of liberal constitutionalism and jurisprudence, in the U.S. this path was unavailable, and so new intellectual foundations and strategies needed to be developed; in short, it was necessary to invent IR. The conclusion is that IR “is not theoretical but primarily institutional and political. It is the academic conditions and in particular the strength of liberalism, scientific rationalism, and the normative approach to international law in the United States – and not some intrinsic epistemological difference – that explain why realism did not find a space within existing disciplinary structures and had to develop along a separate path” (13). Theoretically and philosophically, this meant that realist IR became the disciplinary space outside (both literally and politically) the confines of the American liberal state, where the critique of liberal constitutionalism and rationalism could be pursued without having directly to confront the American liberal consensus. In fact, realism was doubly external to American thought and institutions: it had no institutional place within dominant structures of the academy, and it had no intellectual tradition within American thinking. To succeed, this form of thought needed to be supported. It also, more controversially, needed to remain largely disguised, with its core concepts focused on ‘the international’ even if, as a close reading of major figures easily shows, it actually engaged a vision of politics as a whole with often deeply critical and disquieting assessments of liberal democracy and mass politics. Realism, many if not all of the contributors to this volume seem to concur, was a deeply conservative and elitist political project. For those still schooled in the idea that realism is simply a theory of the way the world is, that its rise simply reflected its epistemic superiority in capturing ‘the way the world is’, that it erected a clear divide between domestic and international politics, these will be striking arguments. They are also claims that, I think, are in many of their broad contours, correct. The intellectual background traced in this book brings new depth to our understanding of the roots of realism, and its analysis of the institutional and political sociology of the field is truly ground-breaking. There is also little doubt that treating realism as a conservative and elitist project steeped in deep misgivings about political modernity in general, and liberal democracy in particular, captures crucial parts of its philosophical bases and political vision. In all of these ways, and many more too numerous to cover here, the essays in this book provide a remarkable – and remarkably fruitful – way of reconsidering the evolution of IR and its contemporary implications. But as the authors in this collection are all well aware, writing and rewriting history in the name of setting the story straight also risks writing out important parts of the story. And it is difficult to escape the impression when reading this collection that something of a consensus about the origins of IR theory and its intellectual and ideological foundations is on the verge of being formed. The consensus is this: that as a form of thought outside the American liberal consensus, early IR theory – and particularly the form of Realism espoused by the most prominent participants at the conference – was marked above all by elitism and anti-liberalism. Indeed, realism, and this particular attempt to found IR, was in this view doubly elitist. First, its “wisdom” was, and needed to remain, the possession of a few. Only those who could stare into the famous Nietzchean abyss, who could grasp the paradoxical ethics and difficult and often tragic truths of power politics, were to be trusted with the pursuit of foreign policy. In Guilhot’s view, “The realist scholar is more of a Geheimrat, a secret advisor to the Prince, than a social scientist dealing with public affairs” (22). For Robert Jervis, this elitism goes to the heart of realism’s paradox of realism’s attempt to link theory and practice: the success of its advice depended on others remaining unaware of its principles, since if realist principles became widely known, their efficacy would be undermined (46-47). This meant that realist politics were by definition elitist – realism had to remain an arcanum restricted to the few. These elitist tendencies were furthered by the fact that realism emerged from a profound distrust of liberal democracy and mass politics. In Jack Snyder’s view, “The differences between the knowing elite and the naive masses have placed realists in an uneasy relationship to democracy” (54-55). Its roots in European thinking – whether in the wider movement of “reactionary modernism” stressed in Philip Morowski’s chapter, or in the controversial legal and political legacy of Carl Schmitt pointed to by a number of the other authors – had to remain implicit, its deeper meanings accessible to only those who could recognize in the tenets of realism in IR a profound anxiety about political modernity and mass democracy that could not be aired in the United States if one wished to maintain political credibility, not to mention to seek to influence public affairs. Noting realism’s tension-filled relationship to both liberalism and democracy, Anders Stephanson is even more forthright. “Realism”, he argues, “is un-American. Its few appearances in U.S. foreign relations have occurred on borrowed time. Realism as policy is thus generally unrealistic” (162). I dwell on this dimension not only because it provides a unifying theme for many of the diverse contributions to this volume, but because it provides the basis for my biggest concerns about the otherwise highly revealing story about realism being told in these pages. These concerns are two. First, the idea that the conservatism of the realists invited to the 1954 conference was all of one piece, when in fact they often had importantly different visions of modern politics. But second, and more importantly, the notion that realism was in fact a form of conservative elitism and that – most misleading of all – it stood outside and generally in opposition to ‘American’ traditions of political thought. As to the first issue, there certainly can be little doubt about many of the Cold War realists’ affinities with conservatism, if by this we mean that they were skeptical of (and often hostile toward) naïve liberal rationalism and constitutionalism, and what they saw as vacuously pluralist visions of liberal democracy. But this was, of course, far from only a conservative position. It was also widely held on the Left, and in a series of sophisticated attempts to rework liberal and democratic politics without falling prey to the critiques of the Left or the Right. As William Scheuerman has shown in his impressive study, these “radical roots” played an important role in Hans Morgenthau’s thinking and set it apart from anti-liberal conservatism, as well as from many visions of realism in IR today. While there is little doubt, for instance, that George Kennan represented a traditional if somewhat idiosyncratic form of conservatism, and that Lippmann was engaged by themes of reactionary modernism (though how far he followed them can certainly be tricky to discern), their commitments are importantly different from those of Morgenthau whose inspirations included not only Burke, but also left-wing figures such as Hugo Sinzheimer and Paul Tillich. Reinhold Niebuhr’s views reflect many of the sympathies, as well as an engagement with American pragmatism that puts them at some considerable distance from those of Carl Schmitt and European realpolitik. These issues become most important when looking at realism and democracy. That these realists were critical of naïve liberalism in domestic and foreign policy is, as noted earlier, indisputable. That they thought parts of foreign policy were necessarily the preserve of political elites is likewise clear. But to see the realism of Morgenthau and Niebuhr as an elitist conservative distrust of democracy and mass politics per se is to badly misunderstand their political realism. In contrast to conservatives like Kennan, both sough to revivify the public sphere – and to do this, both sought to reconnect their realism to American traditions of thought and political culture, not to clandestinely manipulate it. Only such a revivified public culture could in their eyes provide a socially realistic basis for a realist foreign policy under conditions of mass democratic politics in America and beyond. In short, conservative elitism and hostility to liberal democracy was not the only possible response to the challenge presented by naive liberal pluralism, facile constitutionalism, and the challenges of mass democracy. To cast realism in this light risks yet again obscuring important parts of the story of realism, particularly those that William Scheuerman terms “progressive realism” in his fine new book The Realist Case for Global Reform. That figures such as Kennan and Paul Nitze can be characterized in their different ways as clearly conservative seems sure. And that Lippmann, Morgenthau, and Niebuhr were deeply familiar with the intellectual mileu informed by reactionary modernism is equally beyond doubt. But it is not at all clear that they all followed the path of conservative elitism, or that their realist principles set them resolutely against American philosophical or political traditions. This is perhaps clearest, as Vibeke Schou Tjalve has compellingly shown, in the cases of Niebuhr and Morgenthau. A perusal of Morgenthau’s work after 1954, for instance, shows a remarkable and deepening concern with democracy. Important parts of this project can be read as explicit rejections of a Schmittian politics of enmity, or traditional elitism, in favor of a revived republicanism and a renewed democracy. In books such as his oft-ignored Purpose of American Politics, Morgenthau lamented the loss of democratic participation and advocated a public culture capable of informing and restraining foreign policy. Indeed one might argue that for him this was the only way that a realist foreign policy could have a chance of being adopted under the conditions of modern mass politics. These commitments may even have found expression in parts of the 1954 conference proceedings reproduced in The Invention of International Relations. Consider, for example, a short, sharp exchange between Morgenthau and Nitze concerning American policy in Indo-China. According to the transcript, Morgenthau at one point argued that, “The denial of the statement that politics requires a choice is misleading as various examples will show. Indo-China involved a choice between our strategic aims and the moral principle of the rights of the local people”. To which Nitze immediately responded: “Indo-China was not a moral choice. There was a hierarchy of moral value there” (246). In this intriguing exchange, it may well be possible to glimpse signs of the interpretation of revolution in the Third World that would later underpin Morgenthau’s vocal opposition to the war in Vietnam. But more generally, what it does not convey, at least to my eyes, is an unqualified distrust of mass politics or a reactionary vision of political modernity. Similarly, Morgenthau’s well-known criticism of the “nationalistic masses” implies less a wholesale dismissal of mass democratic politics than it does an intricate sociological critique of the conditions under which democratic politics take on such dynamics, and a call to counter these conditions through realistic analysis and responsible political engagement. It is essential that these largely forgotten dimensions of realism also not be covered over. Indeed it would be an irony of the degree appreciated by early realists if newly sophisticated disciplinary histories ended up obscuring this part of their legacy yet again, replacing old and superficial dichotomies between realism and liberal democracy with new, much more sophisticated, but equally constraining oppositions. It is not entirely clear that this is happening in Inventing International Relations, but it is a worrying possibility, and one that may also be found more widely within the otherwise welcome revisiting of realism that is currently taking place in the field. Working in the “grotto” (16) of intellectual history via its archives and institutional practices is beyond doubt essential and illuminating – and this fine book shows what it can accomplish at its best, and the crucial avenues of historical research and political inquiry that it opens up. But for realists such as Morgenthau and Niebuhr, it was also essential to climb out of the cave to glimpse, with great difficulty, the promise of sunlight. No politics could be truly realistic without this, and no reading of the intellectual history of IR can be complete without it. I am very grateful to the reviewers for their comments and for the questions they raise, as they allow me to clarify many issues that are left unanswered or partially answered in the book. Of course, The Invention of International Relations is a collective volume, and its contributors would be in a better position to address the concerns or the suggestions expressed by the reviewers. While they must be credited for the book’s many qualities, as the editor I take full responsibility for its shortcomings. Volker Berghahn is absolutely right when he points out that the debates around “theory” tell us more about the culture wars of their time than about theory itself. What was at stake in the definition of “international relations theory” in the early 1950s was both the kind of foreign policy that the United States ought to pursue in the postwar era, and the intellectual toolkit that would shed light on the international situation and allow for the formulation of policy goals. In other words, it was also a debate over the kind of foreign policy elites that the U.S. needed: should foreign policy be entrusted to detached, technical experts selected on the basis of their scientific skills? Or to a few men of judgment, seasoned in the arcane craft of politics and relying more on prudence informed by experience than on rationalist solutions? Realism was closely associated with the latter perspective, and turning realism into the “theory” of international politics was obviously a powerful move in this debate. In that sense, Berghahn is also right to suggest that an equally important question is: To whom were the realists responding? What was the alternative “theory” that realist IR theory was seeking to displace? This is very much the question that is taken up by Ole Waever, in his analysis of the 1954 conference. Berghahn, however, takes this issue in a direction that is not fully explored in the book (with the exception of Inderjeet Parmar’s chapter, which provides a panorama of other groups involved in the development of “theory” during these crucial decades). His answer is that the struggle to define the postwar course of policy and theory was influenced not only by the realists, but also by their opponents. These opponents were not Wilsonian idealists, but Cold War liberals who had a much more positive view of American modernity. This opposition was reflected, Berghahn suggests, in the (relative) contrast between two philanthropic foundations, the Rockefeller Foundation and the Ford Foundation, the latter investing its massive resources in the development of behavioral social science and in international scientific and cultural networks. Berghahn has produced the most sophisticated and well-researched account of the rise of the Ford Foundation in the 1950s and beyond, one that did much to trigger my own interest in the nexus between philanthropy, social science and politics. One can only agree with him that this is an essential part of the context in which the participants in the 1954 conference were intervening, knowingly so. How they related to it is certainly a question in need of further exploration. But I also concur when Berghahn writes that the two camps were not always very far apart. Not only did the two foundations support the same initiatives in the field of international relations theory (especially abroad, where the cleavage between realists and Cold War liberals did not always exist), but in some respects the cultural optimism of modernizing elites was nothing more than a superficial veneer covering a deep-seated anxiety about the future of liberal society which brought them much closer to realists than one may have expected. Similarly, the distinction between hard-nosed realists interested in the projection of military power and Cold War liberals more interested in cultural diplomacy (as “soft power” was called back then) was not always clear-cut. It would be “the best and the brightest” among the latter who would find themselves involved in a protracted war in Vietnam, while a realist such as Hans Morgenthau would become one of its most vocal and influential critics. Emily Hauptmann, whose work on the development of political theory at the Rockefeller Foundation helped me understand better the simultaneous emergence of IR theory, raises a number of interesting issues that also invite me to contextualize in greater detail the emergence and the specificity of IR theory. The first has to do with the relative size of the IR program in terms of funding. There is no doubt that support for the development of IR theory was extremely limited in financial terms, compared to other programs. In order to get an idea of its size, it is possible to make some simple and approximate calculations based on the Annual Reports of the Rockefeller Foundation for the initial years of the IR program. For FY 1955, for instance, total support for the social sciences amounted to $2,753,120, out of which international relations represented $969,100 – almost a third. Yet this figure also includes activities in the fields of international law and jurisprudence, studies of the role of parties in foreign policy, institutional support for the Council of Foreign Relations ($500,000), the Center for the Study of International Law and International Relations at the Hague Academy of International Law ($122,000) and other programs, including work by historians, such as Felix Gilbert’s study of the origins of political realism in 16th century Italy ($5,400). Within this smorgasbord of initiatives, support for IR theory proper was very limited, not least because it took the form of individual grants or ad hoc operations. Work in the area of theory-development thus represented only $169,380 (and this is an extremely generous estimate, since it includes a $100,000 grant to Waldemar Gurian at the University of Notre Dame for his work on Soviet Russia and his journal Review of Politics). When all is said and done, therefore, IR theory represented no more than 5% of social science disbursements in 1955 (2.5% without the Gurian grant). In 1954, this figure was only 1.2%. In fact, all activities in support of IR theory fell, at least initially, under the category of small grants. But we must not be misled by these figures. Emily Hauptmann rightly points out that the consequences of small investments are not necessarily commensurable with their size. The 1954 Conference on Theory, for instance, cost the Rockefeller Foundation a mere $3,000, give or take, and yet it contributed, at least in my view, to the organization of the field of IR theory by connecting individual scholars around an explicit agenda that was both academic and ideological. Hauptman points out that the same holds true for the field of Political Theory, a field about which we now know much more about thanks to her work. I can only concur, for IR theory was initially developed within the program of Legal and Political Philosophy and was not clearly distinguished from “political theory,” since both projects dealt with the deployment of “the political” in the modern world. The extent of the financial support for IR theory provided by the Rockefeller Foundation also becomes more significant when we take into consideration the international institutions later created by members of the network represented at the 1954 meeting. Two, in particular, must be mentioned because of their role in the development of IR theory in Europe: the first is the British Committee on International Relations, headed by the historian Herbert Butterfield, and the second is the Centre d’Etudes des Relations Internationales (CERI) at Sciences Po in Paris, headed by Jean-Baptiste Duroselle but reflecting also the influence of Raymond Aron (both Butterfield and Aron were invited to the 1954 seminar but had other commitments). Both the British Committee and the CERI benefitted in the mid- or late 1950s from generous Rockefeller (and eventually Ford Foundation) support. Thus, while they certainly felt they risked being marginalized by the behavioral revolution sweeping American universities, the realists successfully managed to define the intellectual terms of the international conversation on IR and to capitalize upon a form of “theory” that resonated with European traditions much more than with behavioralism. Hauptmann also asks why realism survived, given its status as the ideology of an embattled intellectual minority critical of the social science movement, and given the massive support enjoyed by alternative approaches boasting their “scientific” credentials, such as game theory. This is an important question, which I have addressed in a recent article and which I can only touch upon within the confines of this reply. To put it in a nutshell, these alternative approaches have not so much displaced realism as they have provided a new theoretical language perfectly compatible with its key assumptions, to the extent that they did not follow the natural science model upon which the idea of behavioralism as “social physics” was built. Game theory, for instance, has actually given classical realism a new lease on life. A number of game theoreticians – Thomas Schelling in primis – or “system” theorists, such as Morton Kaplan, worked on the basis of realist premises. Even experiences in high-tech wizardry, such as Harold Guetzkow’s “Inter-Nation Simulation” at Northwestern University, turned into symbolic codes the realist assumptions found in the “verbal literature.” In other words, far from being a break with realism, the scientific turn of the 1960s was a blessing in disguise. These affinities are explored at greater length in Philip Mirowski’s brilliant chapter on realism and neoliberalism, where he recasts these intellectual programs as twin outcomes of a certain type of critique of liberalism. There is no doubt, then, that the quest for theory was, as Hauptmann suggests, something that characterized much academic activity in the 1950s, across a number of disciplines and fields, and that a number of debates occurring at the time can be understood as struggles around the definition of what “theory” meant. In his contribution, Brian Schmidt shows the extent of this search for theory, and traces some of its antecedents. There is no doubt either that in an era of unbridled optimism for the technocratic, rational management of complex societies by enlightened scientific elites, advancing policy arguments in “scientific” terms was a crucial dimension of policy influence. This certainly accounts for the ambivalent relationship to science that characterizes much of IR theory and that the volume sought to explore. Michael Williams’ work on realism in general and Morgenthau in particular has considerably renewed our understanding of IR theory, and led me to think about a number of issues that I would have missed otherwise. Retrospectively, he may be right that “something of a consensus” about the ideological underpinnings of realism takes shape in the volume, although this was certainly not its initial intent. His concern is that many contributions – including those by Mirowski, Inderjeet Parmar, Anders Stephanson and myself, but also, to some extent, those by Robert Jervis and Jack Snyder – emphasize the conservative nature of postwar realism, thus missing other traditions, in particular more progressive ones that informed the thinking of some of the participants, Morgenthau above all.. I agree with Williams that one should distinguish between different conservative moods represented among the participants in the 1954 meeting – from George Kennan’s traditional, Methodist conservatism to Reinhold Niebuhr’s neo-orthodoxy, or Walter Lippman’s elitism – and that realism cannot be boiled down to a coherent ideological program. We probably still have a lot more to discover in terms of the different ideological sources of contemporary political realism, and I fully concur with Williams when he says that realism also grew from American traditions, something that perhaps has not been explored as thoroughly as the “émigré” story of realism. I am interested in this question, and his reading of realism adds extremely valuable elements to this perspective. I am less convinced by his second objection, namely that the depiction of realism in The Invention of International Relations Theory obscures what he calls, following William Scheuerman, the “progressive” elements in realism. My disagreement here is not a matter of principle, in the sense that I do believe that there can be “progressive” varieties of realism (the Marxist tradition, for instance, was not only utopian but contained powerful strains of realism). Rather, it is a matter of historical interpretation. There is no doubt, as William argues and as Scheuerman has shown in a fascinating study on Morgenthau, that in the 1920s and the 1930s Morgenthau’s wide-ranging intellectual socialization led him to frequent social-democratic circles around the labor lawyer Hugo Sinzheimer, for whom he worked as an assistant, as well as various members of the Frankfurt School. But if Williams is right when he says that the precise extent of the conservatism of the participants in the 1954 meeting is “tricky to discern,” he certainly would agree that it is much trickier to specify the significance of this early episode in Morgenthau’s life for his subsequent intellectual trajectory. For a start, I cannot for the life of me find anything in Scientific Man vs. Power Politics or even Politics Among Nations that would reflect an intellectual debt to the Weimarian socialist Left. Besides, in his Fragment of an Intellectual Autobiography, Morgenthau himself made no bones about the fact that he did not think much about the politics of the Frankfurt School. More importantly, however, what leaves me skeptical in recent attempts at recovering a “progressive” source of realist IR theory is the kind of historical ascription on which it rests, as if Morgenthau’s occasional proximity with the Left during the 1920s and 1930s somehow gave us the true meaning of his own brand of realism, which then would be immune from subsequent historical vicissitudes. To oversimplify with an extreme case: Mussolini too had been a socialist. Does that make him less of a fascist afterwards? Probably not. Similarly, I do not think that Morgenthau’s intellectual debt to the 1930s social democratic intelligentsia can be held as an antidote to his subsequent positions, or as a more faithful reflection of what his realism “really” was. During the interwar years, Left and Right were categories that could connect or even overlap in ways that are today difficult to imagine. The need to move beyond the paralysis of democracies was a widely shared feeling at the time, and the ideological frontlines, while being perfectly clear, were also crisscrossed by surprising shortcuts. Realism in the 1930s was one of these shortcuts, a language that cut across the Left/Right divide, thus allowing for the circulation of ideas if not of individuals across ideological boundaries. Connecting disparate episodes – from Morgenthau’s involvement with the Weimarian Left to the lip-service he paid to the idea of a world state or his vocal opposition to the Vietnam war – in order to conjure up a logical, coherent form of “progressive” realism, in my view runs the risk of projecting upon realism distinctions that it had contributed to blurring. In the end, I am more interested in understanding this historical function of realism than in arbitrating between its “progressive” and “conservative” elements, not least because they can be defined in any number of ways. This leads me to the final issue raised by Williams, namely the realist view of democracy. I agree with Williams that Morgenthau did develop a positive view of democracy (a view that seemed to correspond with his own estrangement from governing institutions and the policy circles), as long as we do not forget that he had nothing positive to say about democracy until the late 1950s, and that he still viewed democracy in the late 1940s as a convenient ideological weapon in foreign policy, but otherwise as an impediment to effective diplomacy and statesmanship. There is no doubt, however, that Morgenthau’s views on a number of important issues (nuclear war, democracy, etc.) changed after the mid-1950s, and Williams has done a wonderful job at outlining this evolution. But I think we would have produced only an inferior type of Whig history if we had let this knowledge of his subsequent trajectory determine retrospectively our reading of the 1954 seminar. 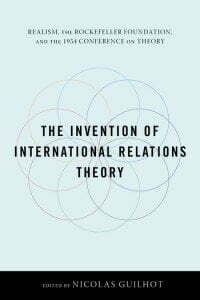 Robert Vitalis points at a missing dimension in my analysis of postwar IR theory and in the architecture of the book, namely the historical connivance of IR theory with the racialized visions of international relations that have accompanied the development of empire and colonialism. So far, I can only plead guilty. This lacuna, Vitalis suggests, was a direct outcome of the “rewriting” of IR history by postwar realists who claimed to set the discipline of international relations on a new track. He is probably right in suggesting that these realists were involved in a revisionist exercise, and it is true that Morgenthau, for instance, criticized previous theories of imperialism as inadequate for the understanding of international politics, while he dedicated only a couple of pages to colonialism in a volume of over five hundred pages. The academic entrepreneurs who developed IR theory in the 1950s saw themselves as founding fathers, while they were in fact operating within a preexisting field deeply shaped by colonialism, and the archives they left behind, as Vitalis hints, may mirror their own biases. I am sure that any reader of The Invention of International Relations Theory will see that nobody among the contributors committed the sin of positivism by taking the archival material at face value. The entire purpose of the book was to submit specific documents to critical interpretation, in particular through extensive contextualization. But Vitalis makes an important comment, which I welcome as an invitation to spell out my view of the discipline more rigorously than I have done in the book, in the hope that this will elucidate why the absence of the field’s imperial foundations is not due to the neglect of an essential part of the history of IR, which Vitalis has done so much to bring to light. My main claim – and here, I find myself very much in agreement with Henry Teune’s words, which Vitalis quotes – is that international relations gained disciplinary autonomy (the capacity to define on its own the subjects worthy of scholarly inquiry, the capacity to enforce methodological principles that distinguish it from other fields, etc.) only when it started developing a theory of its own, and that this process was not achieved until the 1950s, when an influential network of realists embraced this project in order to prevent the preemption of the field by behavioral social science. This was the sense of my 2008 essay reproduced in the volume. Before, international relations was an interdisciplinary field – a very important one, but nonetheless a field, divided between law, psychology, racial “sciences,” colonial administration, geography, anthropology etc., and certainly not a distinct discipline. In this respect, I think that Vitalis’s work fully supports my point. As he shows in his brilliant study of the congenital entanglement of political science with imperial administration, the “theory” that guided the study of international relations in this early era was a mixture of Darwinism, both conservative and reformist, various kinds of biological racism and the mythology of Teutonic government. That IR did not yet constitute an autonomous discipline is further suggested by the fact that the study of political relations with dependencies was bundled together with the domestic issue of the “internal colony” in the American South. In other words, Vitalis has shown better than I could that international relations did not yet constitute a distinctive field and had no “theoretical” core of its own, only a series of heteronomous theories derived from a variety of adjacent disciplines. This heteronomy was also reflected in the sociological basis of these early discussions about IR. As Vitalis is well aware, many participants in these discussions were not only academics, but colonial officers, travelers, politicians, and journalists – yet another sign that the study of international relations was not an autonomous discipline. This was also the case in Great Britain (Chatham House, 1920) or in France (Centre d’Etudes de Politique Etrangère, 1935), where legal scholars and political scientists mingled with military governors, colonial bankers, representatives of colonial commercial interests, administrators of oversea territories, etc. Besides, Vitalis himself does not distinguish clearly between what he calls the “science of imperial relations,” early American political science, and the study of international relations – rightly so, since they were not yet differentiated. I am not sure either that taking the imperial lineage as the backbone of the discipline would be of much help to understanding what was new about postwar developments. If the imperial past of the field had direct heirs in the postwar era, these were the ideologues behind the UN, the thinkers of international organization, who, as Mark Mazower has recently shown in a remarkable little book, owed much to British imperial thought – but emphatically not the postwar realists, who were wary of imperial claims, despite their wistful remembrance of a past in which Europe ruled the world. And indeed, it is the end of empire, decolonization and the universalization of sovereignty that provided the context in which the basic tenets of realism (an anarchic world of independent sovereign states) seemed to bear some kind of relationship to the contemporary world rather than to eighteenth century Europe. In conclusion, I believe that the history of imperial epistemologies in early American political science, which Vitalis has done so much to elucidate, and the history of IR theory as specific disciplinary formation are two different historiographical projects that are both legitimate and promising, and which have much to gain from pooling their results. Let me be clear, however: this should not detract us from the fact that the postwar realists too were imbued with Eurocentric, and sometimes racialized, conceptions of world order. On the contrary. Here, Vitalis and others must be credited for pioneering a very important line of research, and I am very much interested in the issues he addresses in his work. The fact that postwar IR theory was to a large extent a “postcolonial” theory (as Morgenthau seems to have been aware) and the nature of its relationship to the end of empire and decolonization have hardly been analyzed. In sum, it seems to me that postwar realism was an attempt at recovering a principle of order – i.e., a principle of concrete hierarchy and difference – once international law had ceased to discriminate between different levels of sovereignty, and once the reality of empire was no longer the determining force in the world. This is a question I want to address in my current work, thanks in particular to Vitalis, and I hope to address it in conversation and in collaboration with him. This point stands whether or not one reads Arnold Wolfers as a behavioralist, something about which Guilhot (151-152) and Ole Wæver (114-115) disagree. Also, though both Guilhot (141-142) and Inderjeet Parmar (199) note the wide range of the Rockefeller Foundation’s commitments, the strength of the support for behavioral science becomes even more evident if one considers how all major philanthropies and government agencies spent their funds. Rockefeller’s Division of Social Sciences had an average total appropriation between $3.5 and $4 million per year during the 1950s. For a more detailed discussion of these figures, see Emily Hauptmann, “The Ford Foundation and the Rise of Behavioralism in Political Science,” Journal of the History of the Behavioral Sciences, (forthcoming). Emily Hauptmann. “From Opposition to Accommodation: How Rockefeller Foundation Grants Redefined Relations between Political Theory and Social Science in the 1950s.” American Political Science Review 100: 4 (November 2006). For a discussion of how the field of comparative politics was transformed by behavioralism, see Robert Adcock, “Interpreting Behavioralism,” in Modern Political Science: Anglo-American Exchanges since 1880, ed. R. Adcock, M. Bevir and S. C. Stimson (Princeton: Princeton University Press, 2007). On government funding for game theory and rational choice, see S. M. Amadae, Rationalizing Capitalist Democracy: The Cold War Origins of Rational Choice Liberalism (Chicago: University of Chicago Press, 2003). Opening quotes are from Henry Teune to Andrea Gerlack [director of academic development, International Studies Association], email dated May 26, 2009, in my possession, and Quincy Wright to Arthur W. Macmahon [a specialist in public administration at Columbia who was then President of the American Political Science Association], November 25, 1947, Box 2, Folder 20, Quincy Wright Papers, Regenstein Library, University of Chicago. I dedicate this short essay to my late and great colleague, Henry. See Harold Zink [a US political scientist who served in the Supreme Headquarters of the Allied Expeditionary Services where he worked on military government and later became a critic of democratization efforts in Germany], “Report on the German Political Science Association to the International Political Science Association,” n.d., and Benjamin Azkin [founder of the first political science department in Israel at the Hebrew University in 1950] to Quincy Wright, September 4, 1951, both in Box 11, Folder 5, Wright Papers. Mimeo, US Specialist Report, Lectures in Political Science, Dr. Ludwig Freund, Office of the US High Commissioner for Germany, Office of Public Affairs, Education and Cultural Relations Division, Education Branch, September 1951, Box 3, Folder F, Addenda, Wright Papers. Ms., with handwritten notes and handwritten title, “Recent Development in Political Science in the United States, World… Conference, Germany Sept 11, 1949,” Box 7, Folder 22, Wright Papers. Brian Schmidt, The Political Discourse of Anarchy: A Disciplinary History of International Relations (New York: State University of New York Press), 1998. Robert Vitalis,“The Graceful and Liberal Gesture: Marking Racism Invisible in American International Relations,” Millennium, 29, 2 (September 2000), pp. 331-356, “International Studies in America,” Social Science Research Council Items and Issues 3 (Summer 2002), pp. 1-2, 12-16, “Birth of a Discipline” in Imperialism and Internationalism in the Discipline of International Relations, edited by Brian Schmidt and David Long (Albany: State University of New York Press, 2005), pp. 159-182, and “The Noble American Science of Imperial Relations and its Laws of Race Development,” Comparative Studies in Society and History 52, 4 (2010), pp. 909-938. Quincy Wright, transcript of a lecture “International Relations” broadcast on station WMAQ, Chicago, March 5, 1926. See Hans Weigert [another of the political scientists working on the German mission], Generals and Geographers: The Twilight of Geopolitics (Oxford University Press, 1942), just one of the texts of the war years denouncing the pseudo science that in a few years would become a mainstay of international relations courses and scholarship. A sustained tracing of this lineage is Oliver Jütersonke, Morgenthau, Law and Realism (Cambridge: Cambridge University Press, 2010). For a similar observation about the wider revival of interest in “classical” realism, see Ian Hall, “The Triumph of Anti-Liberalism? Reconciling Radicalism to Realism in International Relations Theory”, Political Studies Review 9(1) 2011: 42-52. William E Scheuerman, Morgenthau (Cambridge: Polity Press, 2009). For the most extensive account of this trajectory, see Vibeke Schou Tjalve, Realist Strategies of Republican Peace: Niebuhr, Morgenthau and the Politics of Patriotic Dissent (London: Macmillan, 2008); my own brief attempt to stress it is in The Realist Tradition and the Limits of International Relations (Cambridge: Cambridge University Press, 2005), pp. 185-92. William E Scheuerman, The Realist Case for Global Reform (Cambridge: Polity Press, 2011). Volker R. Berghahn, America and the Intellectual Cold Wars in Europe : Shepard Stone between Philanthropy, Academy, and Diplomacy (Princeton, N.J.: Princeton University Press, 2001). For this interpretation of modernization theory, see Nils Gilman, Mandarins of the Future: Modernization Theory in Cold War America, New Studies in American Intellectual and Cultural History (Baltimore: The Johns Hopkins University Press, 2003). Nicolas Guilhot, “Cyborg Pantocrator: IR Theory between Decisionism and Rational Choice,” Journal of the History of the Behavioral Social Sciences 47, no. 3 (2011). For a more extensive treatment of game theory in particular, see Philip Mirowski, Machine Dreams: Economics Becomes a Cyborg Science (Cambridge: Cambridge University Press, 2002). Although I point to some American roots of Christian realism in Nicolas Guilhot, “American Katechon: When Political Theology Became IR Theory,” Constellations: An International Journal of Critical and Democratic Theory 17, no. 2 (2010), and so does Anders Stephanson in his book on Kennan. Anders Stephanson, Kennan and the Art of Foreign Policy (Cambridge: Harvard University Press, 1989). See for instance Robert Vitalis, “The Noble American Science of Imperial Relations and Its Laws of Race Development,” Comparative Studies in Society and History 52, no. 4 (2008). Mark Mazower, No Enchanted Palace : The End of Empire and the Ideological Origins of the United Nations, Lawrence Stone Lectures (Princeton: Princeton University Press, 2009). See the references to Vitalis’ work in his comments on the book. See also Duncan Bell, ed. Victorian Visions of Global Order: Empire and International Relations in Nineteenth-Century Political Thought (Cambridge: Cambridge University Press, 2007), David Long and Brian C. Schmidt, Imperialism and Internationalism in the Discipline of International Relations (Albany: State University of New York Press, 2005).